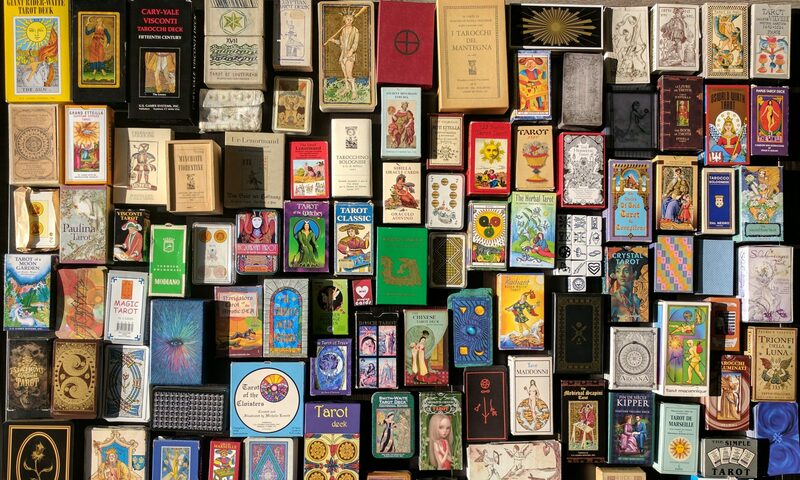 If you’ve had a look at my tarot collection you may have noticed that not all of the decks I own are in fact tarot decks. I have some lenormand decks and a few other types as well. Something I often say though is that I’m not a fan of oracle decks. So what exactly do I collect and how do I make the distinction between things I’m interested in and things I’m not? For starters, I collect tarot decks. That much should be pretty obvious! I collect historic decks, pretty decks, mass produced, independently published, serious and silly. My interest started with tarot, and it’s still the type of deck I’m most interested in. I first started to be interested in non-tarot decks when I began learning about the history of tarot and cartomancy in general. Tarot was originally a game, not a divination system, and although cards have been used for divination since before tarot came into existence, other decks were preferred for this purpose. I started to include decks designed for divination that weren’t tarot in my collection. I’m still not a fan of oracle decks, although they are clearly designed to be used for divination as well, so I had to think about what it is that I don’t like about them that doesn’t apply to the other decks. The distinction I made is that the decks I do collect have a particular system to them, they’re of a particular pattern, like tarot. They each contain a particular set of cards which is common to all decks of that type. There are rules. Oracle decks, on the other hand, don’t follow any system, each deck has its own unique set of cards, and there are no rules to follow. 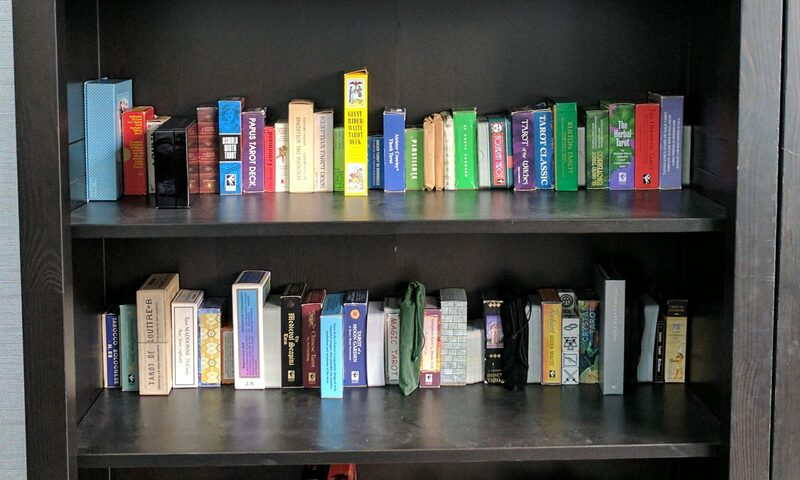 So my collection includes tarot, minchiate, lenormand, sibilla, zigeuner and playing cards, as well as a few historical decks that don’t really fit into a system but that I feel are relevant to the development of tarot or other divination systems. It also includes regional decks, those that are of a style typical of a particular place, even though they’re not related to divination, because I’m interested in how decks changed through time. I buy both new and used decks. Some decks are readily available new and some aren’t. Some decks are out of print, so getting a used copy is necessary. Sometimes I get a used deck because it’s cheaper than a new copy. As long as the deck is in good condition, it doesn’t bother me.